As far as you can see The Becheci mountain is our sacred place. Please be gentle with it. It has been for centuries the “holy mountain” of the area. Once arrived on top of the mountain (1080 m), not only the body but the soul too raises high. The treasures of this place are the astonishingly diverse vegetation and fauna, beech and oak forests, unique grasslands. It is not by mere chance that it is a Natura2000 area. Climb to the peak following Mary’s Trail (departure from Călugăreni) or the Salt Way (starting point at Valea). Once, in the clearing, on the roof of the Bechechi there was a chapel consecrated to Saint Anton, visited by pilgrims twice a year. The building was demolished in the 18th century, the bell was taken to Grâuşorul, the stone cross to Șilea Nirajului. The latter can be seen today, with the inscription: 1600 Az bekecsi kápolna köve I.H.S. (1600 the stone of Becheci chapel I.H.S). In 2005 was founded the new chapel. 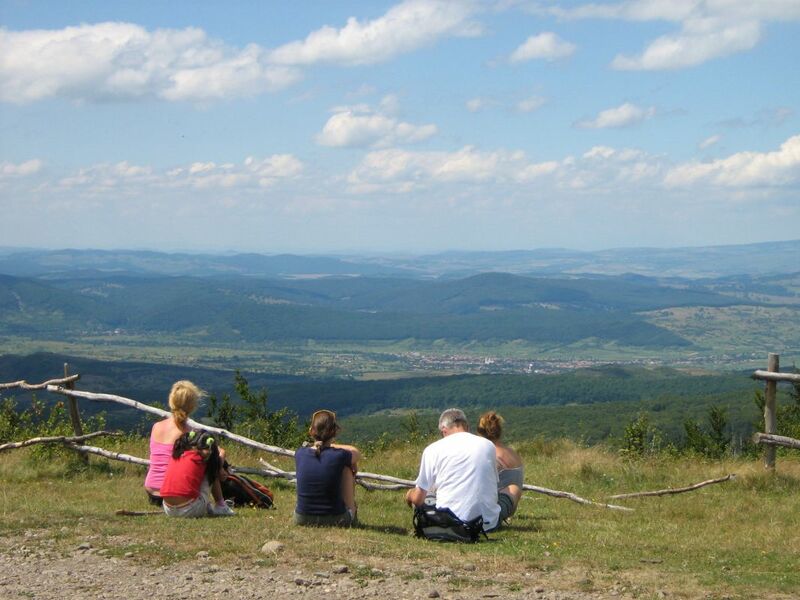 Up here, in nice weather one can see the arc of the Carpathians: Mount Fagaras, Mount Harghita, the Niraj Valley, the Mures Valley, the Tarnava Valley and Salt Country. There is a resting place for hikers, with a memorial pillar dedicated to Hobo László Kocsis, a pioneer in drafting the touristic map of the area. During World War I Becheci hill was a war scene in Transylvania. Decisive battles took place between 23 September and 3 October 1916. The first troops arrived The units regrouped from the Russian front in Galicia stopped the units of the Kingdom of Romania. Monuments have been erected in memory of the fallen soldiers during the First and Second World War.